Be inspired by our alumni who are being the difference across the world. This week we’re celebrating the success of some of our “creative minds”. Stirling is ranked 1st in Scotland and top 10 in the UK for Media and Film Studies (Guardian University Guide 2019). With rankings like this it’s no wonder that our graduates are breaking new ground in the creative world! Doug’s wildlife filmmaking career began in 1986. 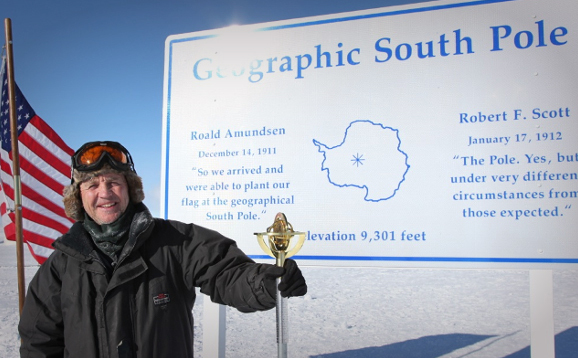 Since then he has specialised in extreme environments, particularly the North and South Polar regions, both above and below the water. He’s now very well acquainted with both penguins and polar bears, though of course never at the same time! He has filmed wildlife and expeditions all over the world, including the upper reaches of Mt Everest. Eilidh is definitely making her mark as a sports presenter and reporter, fronting shows from golf to football and rugby. In 2017 she became the main presenter of BBC’s golf coverage, replacing her broadcasting hero Hazel Irvine. This year alone she worked at the Winter Olympics in Pyeongchang and was the BBC anchor for top golf tournaments such as the US Masters and the Ryder Cup. As well as BBC Sport, Eilidh works with BT Sport and BBC 5Live. With her popularity soaring with sporting fans, Eilidh’s regularly seen presenting renowned sports shows such as Football Focus, Final Score, and The Women’s Football show. After graduating from the University of Stirling Eilidh went to South Korea to teach English. Her next step in her career was getting a job with STV, primarily editing their football and rugby highlights. Eilidh then took on various reporting jobs such as the presenter of STV Rugby for the 2011–12 season. Eilidh is a keen sportswoman herself playing football for Partick Thistle Ladies and golf at Blairgowrie. Jackie is the current Scots Makar – the National Poet for Scotland. The role involves promoting poetry throughout the country and encouraging young people to engage with the art form. Although Jackie initially wanted to become an actress, she decided to focus on writing after talking to Alasdair Gray, a Scottish artist and writer. He read her poetry and convinced her that writing was where her career lay. We’re very happy that Jackie took his advice! This led her to studying English at Stirling. Jackie’s first book of poetry, the partially autobiographical The Adoption Papers, won the Saltire Society Award for best first book in 1992. She won the 2011 Scottish Mortgage Investment Trust Book Award (Non-Fiction) for Red Dust Road, an account of her search for her natural parents. Jackie has also written extensively for stage. In an interview with our alumni magazine ‘Stirling Minds’ in 2016 we asked Jackie if she had a favourite memory of being a student at Stirling. Thankfully she had many! Alan became a published author while still studying for his MLitt English Studies! Boyracers was his debut novel. It focuses on four male teenagers growing up in the town of Falkirk, exploring the influences of popular culture, global capitalism and social class on the lives of young people in contemporary Scotland. In 2012, Alan was named Glenfiddich Spirit of Scotland Writer of the Year and in 2013 was shortlisted for the Creative Scotland and Daily Record Literature Award, the same year his play Ban This Filth! was shortlisted for an Amnesty International Freedom of Expression Award. His short film, The Shutdown (2009) won numerous awards at international and domestic film festivals. Alan is currently touring the country with his play ‘(More) Moira Monologues’ which won The Scotsman Fringe First award in 2017. 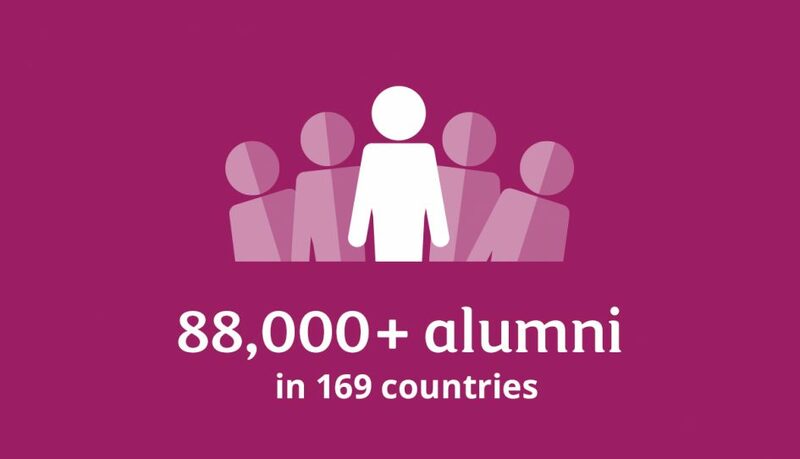 Find out more about our Alumni community.